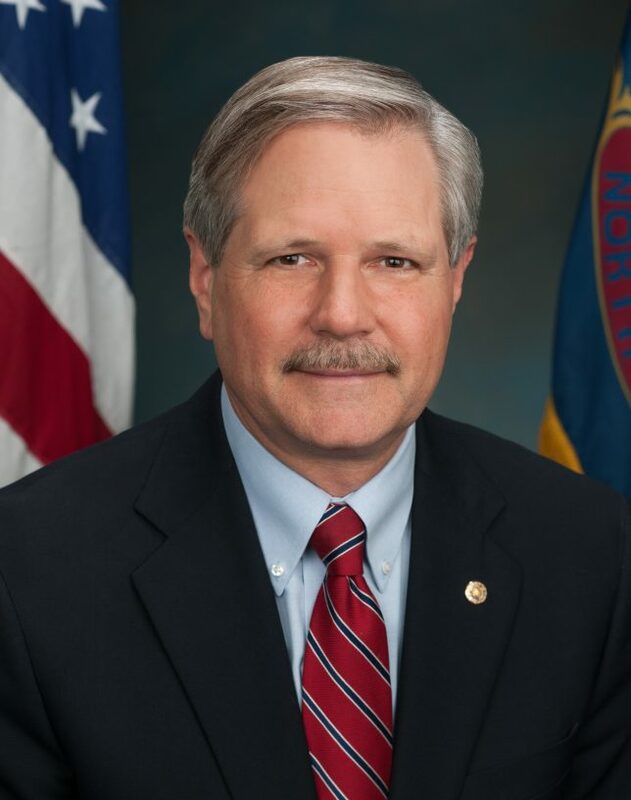 Sen. John Hoeven (R-N.D.). One of the good guys -- maybe. Do Senate Republicans have no understanding of how health insurance markets work? Or are they so afraid of taking political heat that they just don’t care? Probably a bit of both. Letting people with preexisting conditions access insurance anytime they want without paying higher premiums will render insurance markets unworkable. Despite that, Senate Majority Leader Mitch McConnell (R-Wishy Washy) is said to be backing GOP moderates (RINOs) on keeping the Obamacare preexisting condition “protections” in the Republican health care overhaul. Senate Majority Leader Mitch McConnell is proposing to keep in place Obamacare’s protection against higher health-insurance premiums for people with pre-existing conditions when they buy individual coverage, said a Republican aide familiar with the recommendation. The idea was discussed in a closed-door Senate GOP meeting Tuesday, said the aide, who spoke on condition of anonymity. Republicans in the chamber are working to craft a more modest health-care bill than a House measure that nonpartisan analysts said would cause premiums to skyrocket for many older, poorer and sicker Americans and result in 23 million fewer people with coverage over a decade. The “nonpartisan analysts” the article refers to work at the Congressional Budget Office. The CBO analysis is almost surely wrong, as Megan McArdle points out here. For health insurance to function properly, it must have a stable “insurance pool.” That is, it must have a sufficient number of young and healthy people to “cross-subsidize” the older and sicker. That allows insurers to make a profit and to keep premiums from increasing astronomically. Under a free market health insurance system, insurers can deny coverage to those with preexisting conditions. That incentivizes people to buy insurance before they get a preexisting condition. As a result, more young and healthy people sign up, keeping insurance pools stable. Under Obamacare, people with preexisting conditions can get insurance during the annual open enrollment period. Insurers cannot deny them coverage or charge them higher premiums. Naturally, that incentivizes many young and healthy people to forego coverage until they get seriously ill. That’s why premiums on Obamacare exchanges are skyrocketing, why insurers are abandoning the exchanges, and why a state like Iowa will have no insurers on its exchange come 2018. The original proposed “American Health Care Act” left the Obamacare preexisting conditions “protection” intact. The version that passed the House in May enabled insurers to charge higher premiums to people with preexisting conditions in states that applied for a waiver from Obamacare’s regulations. In short, House Republicans fixed the problem with Obamacare so that preexisting conditions no longer undermined insurance markets. Senate RINOs want to break it again. As is often the case, political expediency is the problem. Too many moderates don’t want to repeal a provision that is popular with the public. But that thinking is myopic. Republicans need to ask themselves, how popular will they be with the public if they leave in place a system that is collapsing? Senator John Hoeven, a North Dakota Republican who is part of a working group helping draft a measure, said there is discussion about creating a federal reinsurance pool for people with chronic illnesses. That could provide coverage for people with pre-existing conditions, while at the same time helping lower premiums for those who remain in the regular insurance market. “People won’t be worried that they’re going to lose affordable coverage if they have a pre-existing condition,” Hoeven said. A reinsurance pool is in effect insurance for health insurance companies. It helps them cover the costs of people with very high medical expenses. That would be a better method of dealing with preexisting conditions that what the RINOs want to do. Yet there is another method of addressing preexisting conditions that could work even better. It would please both moderates and conservatives and would turn the preexisting conditions problem into a winning issue for Republicans. I’ll examine that on Monday.